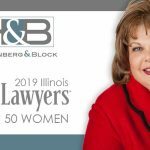 Chicago, IL – USA – June 5th, 2014 – Gloria E. Block, a Founding Partner in the Chicago Family Law Firm of Hoffenberg and Block LLC, has been selected as an industry expert for a panel discussion on family law custody disputes. The June 26, 2014 event is sponsored by the Illinois Chapter of the Association of Family and Conciliation Courts. The AFCC is an interdisciplinary and international association of professionals dedicated to improving the lives of children and families through the resolution of family conﬂict. Although Ms Block’s expertise includes all areas of family law, she has a unique passion for matters concerning children. As a result, she has dedicated a substantial part of her professional practice to cases relating to custody and visitation. Because of her established skills in dealing with children, she has come to be known as a vigorous advocate for children by Judges, lawyers, and mental health professionals who are intimately involved in legal proceedings involving custody and visitation. 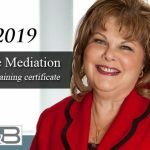 Because of her reputation and expertise, she is often appointed by Judges, and agreed upon by attorneys, to represent children in the most difficult custody and visitation cases. Ms. Block has presented at numerous professional seminars and has been a guest speaker on various topics related to family law. 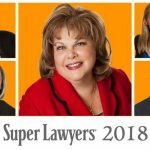 She has the honored distinction as a recipient of the Illinois Super Lawyer designation. 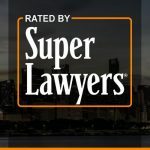 Super Lawyers is a rating service of outstanding lawyers from more than 70 practice areas who have attained a high-degree of peer recognition and professional achievement. Other panel members of the discussion group included the Honorable Grace Dickler, Dr. Phyllis Amabile, MD and Sol R. Rappaport, Ph.D., ABPP.